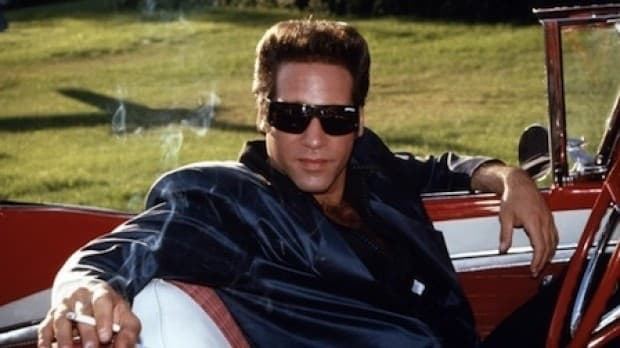 At twelve years old I first heard Andrew Dice Clay’s album ‘Dice.’ I’d never heard anything like that before. It stunned me. Maybe a lot of the jokes seem sophomoric today, but there was a freedom to it that was great. This guy was punk rock. He wasn’t playing by the rules. It was a character, but it was also purposefully over-the-top and in your face. Dice took chances. Dice exploded what came before. Today, Dice in his prior form, couldn’t exist. Is it because, as we’re told, society has become more advanced? Art is most valuable when it is a challenge to the system — unrepressed, uncensored, unfiltered, uncompromising. There used to be a kind of creative license all practitioners of creative arts were provided. One could watch a Dice routine that begins ‘look at these Japs, these madam-butterfly wok-using-nitwit-motherfuckers’ and know it was a joke. What is more, one could expect others to do the same. Was this because people were more backward then? Doubtful. If anything they understood that the populace is no more likely to commit a hate crime against Japanese people or be intolerant to said group as a result of some over-the-top comedic routine as they are to rob a bank and cut off a cop’s ear after watching ‘Reservoir Dogs.’ A compelling argument could even be made that one of the roles of art — in all forms — is catharsis (as Aristotle suggested) — and that doesn’t happen without creators risking offending and insulting the philistines in the middle. My point being if there is one critical flaw in our current repressed, highly-Puritanical society it is this — that so many are so quick to censor and condemn. It’s not just Twitter trolls and bloggers at sites like The Daily Beast. It’s not just Social Justice Warriors and the progressive overreach on college campuses. It’s not just corporate dominance and the persistent apologizing of every mainstream creative type who advertisers feel went too far. It’s the lack of true artistic exploration, the lack of creative types with an edge (who are granted a platform). The result is an endless parade of saccharine comic book movies instead of a Stanley Kubrick or Elia Kazan; an influx of mediocre and safe comedians, but no Bill Hicks, Sam Kinison, or Joan Rivers; a wide-range of literary artists but nothing like a Henry Miller or a Brett Easton Ellis etc. Are there great creative types working today? Absolutely. Truly creative voices always find a way to be heard. But I wonder if this persistent censorship and quickness to condemn hasn’t stifled some of the best work? I wonder if artists have lost the will to fail — in bold and humiliating ways? I wonder if we all have become less human as a result of this insistent push to seem more human (while actually behaving quite the opposite)? I wonder, even, if the very fabric of society is being destroyed by virtue-signalling thought police who — instead of creating a Brave New World — are actually creating A Cowardly, Ancient Nursery — a collective and adolescent hell brimming beneath the surface with explosive dissent. Where do we go from here? I don’t know. But I pray that there will be some rabid voices out there who can show me; dissenting voices; inappropriate, offensive voices; voices that provide an alternate vision; voices that tell us all what we need to hear. Matt Nagin is a writer, comedian, actor, and educator. His book “Butterflies Lost Within The Crooked Moonlight” is available on Amazon. More at mattnagin.com.